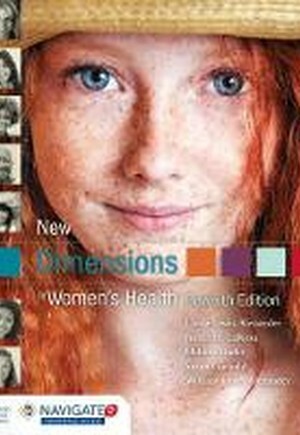 Extensively revised and updated with the latest statistics and developments in the field, New Dimensions in Women's Health, Seventh Edition provides a modern and comprehensive look at the health of women of all cultures, races, ethnicities, socioeconomic backgrounds, and sexual orientations. Written for undergraduate students studying health education, nursing, and women's studies, the text provides women with the critical information needed to optimize their well-being, avoid illness and injury, and support their overall health. Each chapter presents in-depth coverage of an important aspect of women's health and examines the contributing epidemiological, historical, psychosocial, cultural, ethical, legal, political, and economic influences. The new digitally enhanced Seventh Edition is available with Navigate 2 Advantage Access which includes an interactive eBook, informative animations, labeling exercises, audio clips, practice activities and assessments.